Built-in Infrared, Bluetooth, and wireless technology. Helps you reduce the number of remotes and swtiches. 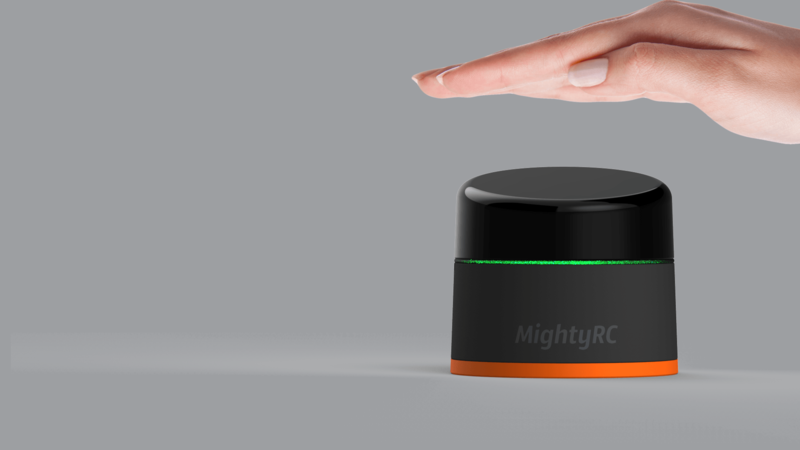 Gives you an instant way to control your appliances! Activity is a set of sequential commands. You can use your smart phone to send multiple commands. One button to control multiple devices. When you watch movies, no more fiddling with multiple remotes. 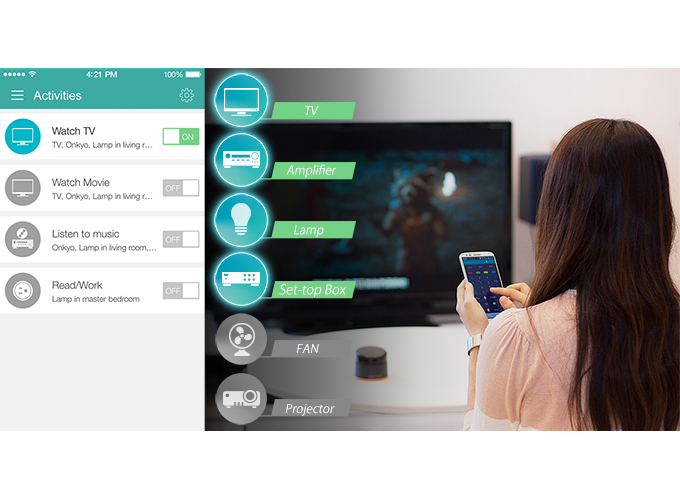 With Activity, simply one click to control several devices simultaneously! 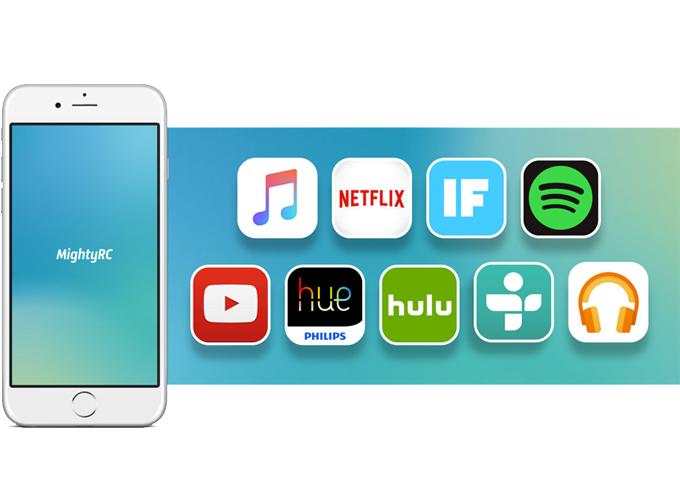 Use the MightyRC App to select music/video you want. 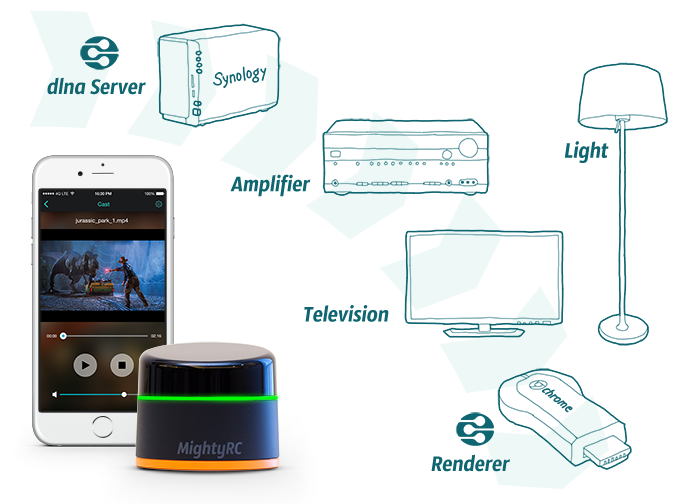 MightyCast can turn on audio/video devices, and then stream the content to Chromecast, SmartTV , or other DLNA compatible devices! You can play/pause a movie with just a wave of your hand. You can also use this function to control your appliances when your hands are dirty or wet. Keep it neat, clean and dry. The MightyRC package includes outlet switches. 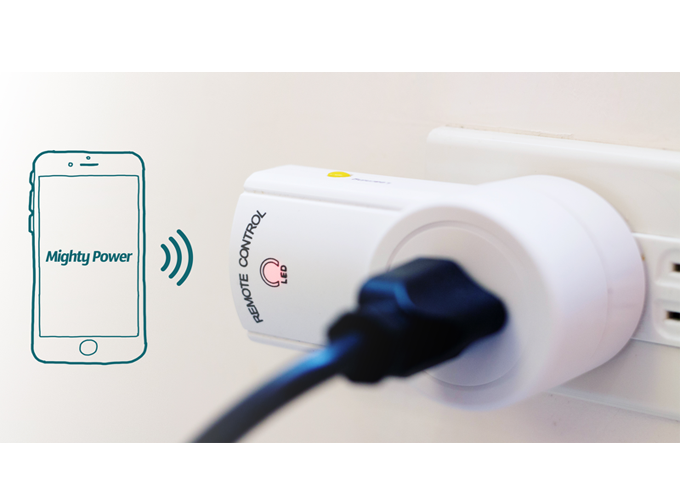 Just plug in your appliances to control them in a smarter way. 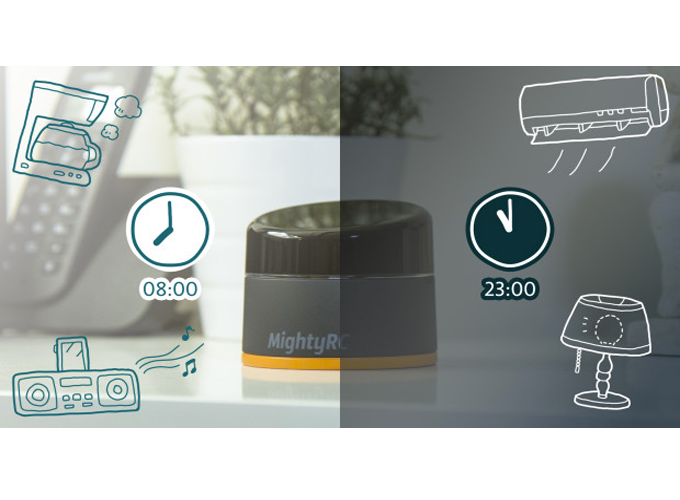 MightyRC can control devices based on proximity or timer, no more worrying about forgetting to turn off your appliances. 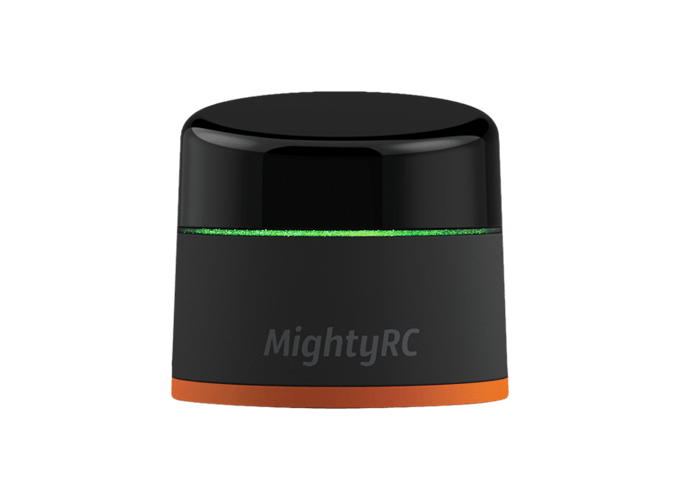 You can associate your installed iOS/Android applications to a MightyRC activity. 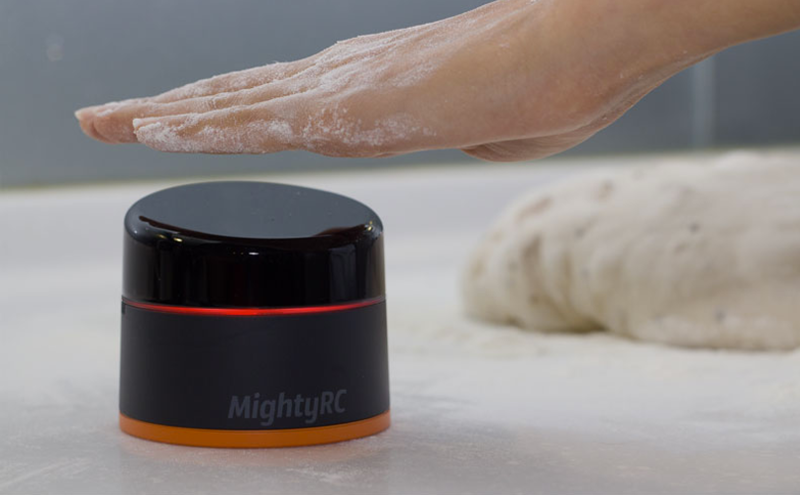 Mighty Gesture can be customized for each application. Copyright © 2017 - MightyRC - All rights reserved.